We are expecting our first boy after having two girls and I couldn’t wait to decorate his nursery. 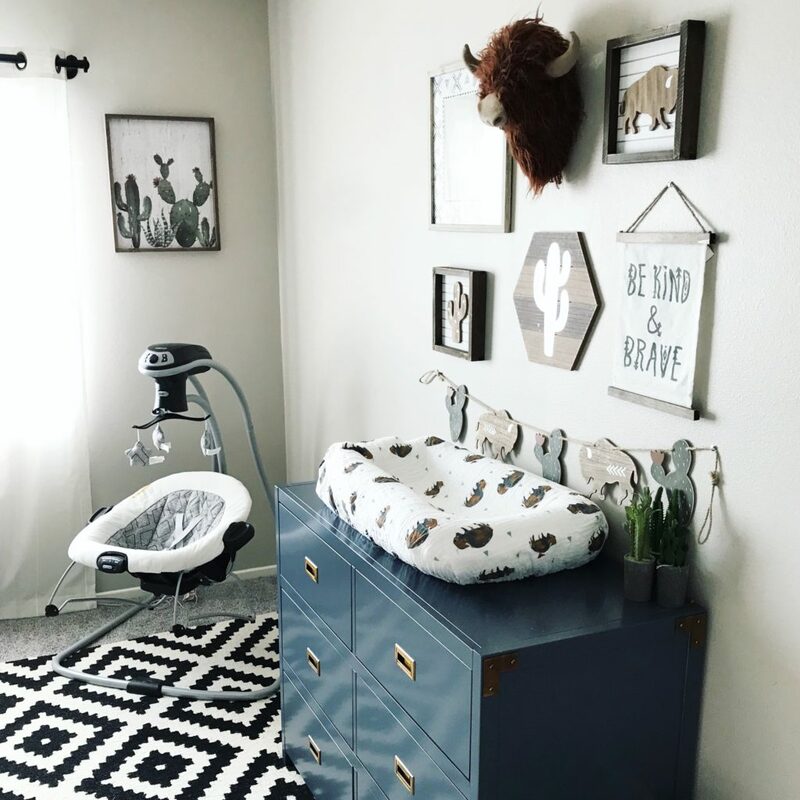 Hobby Lobby inspired Bison decor help set the tone for this southwestern rustic nursery and I couldn’t love it more! Hi, I as wondering where you bought the wall paneling? Very sweet room, congrats on your little boy!